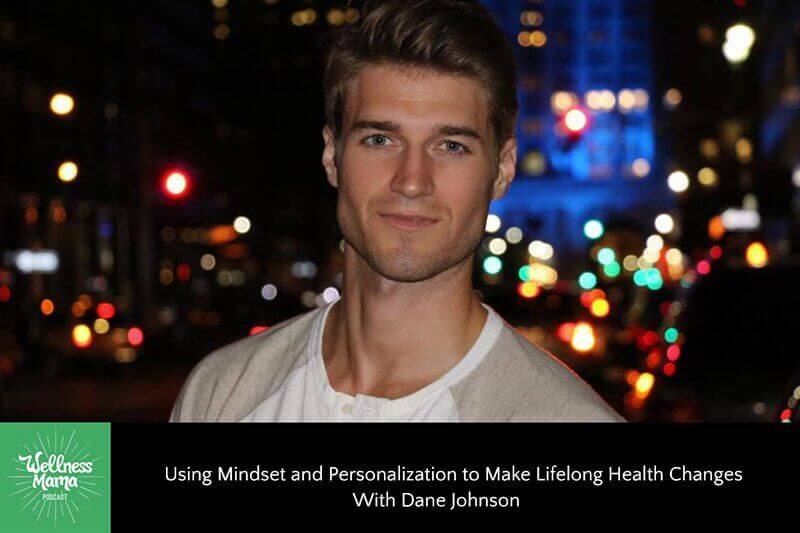 Dane Johnson is a new friend of mine who just happens to be a board-certified holistic nutritionist, the founder of Crohn’s Colitis Lifestyle, and the co-founder of the nonprofit eFundYourHealth. As you can imagine, it’s hard for us to run out of topics to talk about. Dane eventually turned to holistic medicine to eliminate his symptoms. Not only did he regain 55 pounds of lean muscle, he is now able to function without any drugs and has a thriving career as a speaker, author, health coach, and model for a self-empowering lifestyle. I’m glad to have him here so you can hear firsthand how he did it and what he’s learned along the way. Are you planning to make health changes in 2019? Did Dane’s insights give you some ideas? Please drop a comment below or leave a review on iTunes to let us know. We value knowing what you think and this helps other moms find the podcast as well. This episode is sponsored by Fabletics. In my normal life I wear workout clothes and yoga pants more than anything else because I’m often running from gym to the grocery store to picking up kids from art class. This is why I’m super picky about the athletic wear I choose and I need it to be flattering, functional, and long lasting! That is why I am so excited to get to partner with Fabletics. Co-founded by Kate Hudson, one of my favorite actresses, they make cute and affordable activewear. I’m obsessed with power hold leggings and seamless bras. The material is super stretchy, lightweight, durable, and comfortable. And I’ve already received a few compliments from friends… because I also wore these to a Mom’s night out! If you’ve never tried Fabletics, I highly recommend starting at their collections page so you can see trending pieces. Fabletics also releases brand new styles, collections, and prints every month! Also pro tip- if you guys become a VIP with Fabletics, you’ll get up to 50% off regular pricing and instant access to their latest collections. Plus the best part is that there’s NO commitment to order on a regular basis… you can skip any month. Trust me, you do not want to miss out on their very special offer. Get 2 leggings for only $24 ($99 value) when you sign up for a VIP. All you have to do is go to fabletics.com/wellnessmama to take advantage of this deal now. This episode is sponsored by Four Sigmatic, a company whose delicious drink mixes I use daily in some form. I’ve been fascinated lately by the benefits of medicinal mushrooms like chaga, which has more antioxidants gram for gram than anything else on the planet, cordyceps which is great for the immune system, reishi which helps promote restful sleep, and lion’s mane which is thought to promote focus and brain health. Four Sigmatic takes these superfood mushrooms and blends them with coffee for a brain-boosting jitter-free morning drink. They also have a line of delicious elixirs that are caffeine-free and great for any time of the day. I almost always end my day with a warm cup of their reishi, which makes a noticeable difference in my sleep quality and I often begin the morning with a cup of the coffee with lion’s mane. My kids love their superfood hot cocoa and I love that the reishi helps promote calm and sleep! You can check out all Four Sigmatic products at foursigmatic.com/wellnessmama and save 15% with the code WELLNESSMAMA.